All the President’s Men was the only movie I remember seeing in 1976. Gas prices were high, and we didn’t have a lot of spare change. Going to the movies meant a ½ hour drive across the river, plus a $3.00 toll, a trip we mostly saved for our once-a-month big shop at Prairie Market, one of those places where you bought in bulk and marked the price on the case of toilet paper or pickles you needed with a black grease pencil. We made a day of it, including a stop at the plywood mill for dollhouse material, and eating fish & chips at The Ship Inn, a small place overlooking the river. 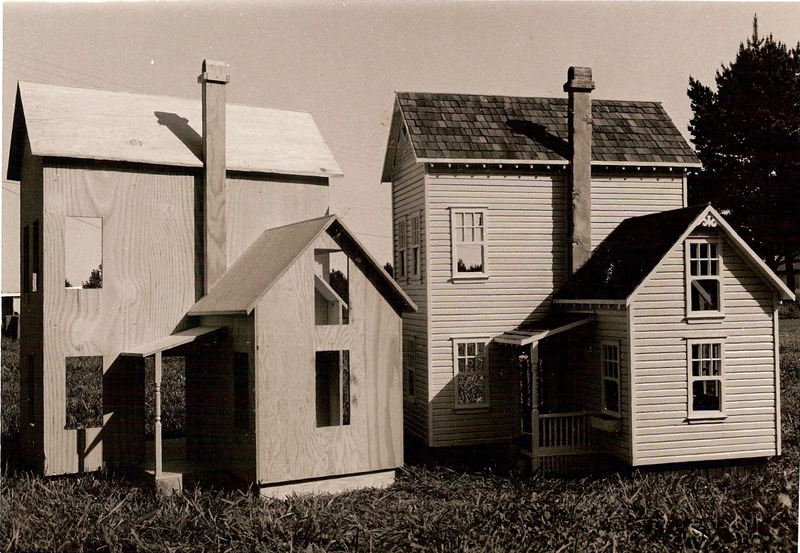 Plus, we were busy building four dollhouses, starting a line of dollhouse kits, and stumbling upon the larger world of miniatures—miniature shows. That was the year we connected with a couple on the Oregon coast with a miniature shop. They encouraged us to take a house to a national miniatures show in San Francisco run by the large and only national miniatures group in the country, NAME—the National Association of Miniature Enthusiasts. It sounded like a big deal, and it was. 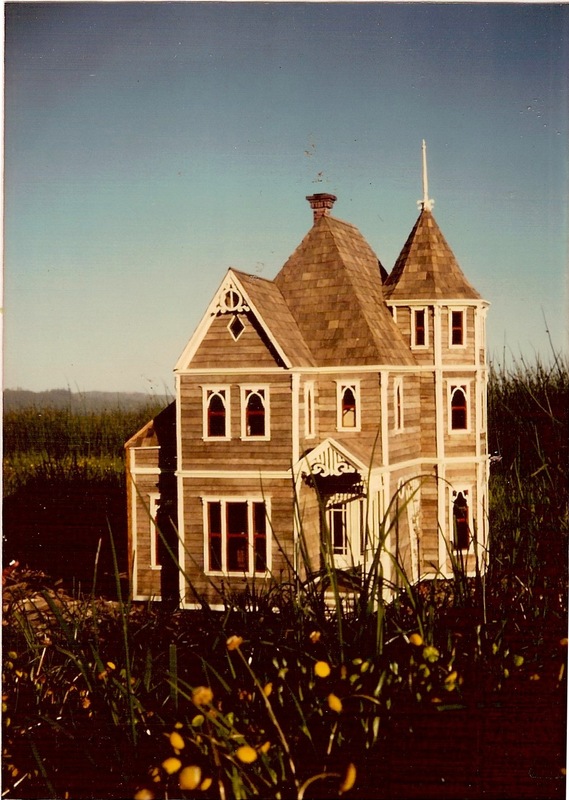 We were just finishing our first house with a tower on it, The Columbia, covered in naturally weathered shingles hand cut from wood we had scrounged in an empty lot, and finished with the white gingerbread trim found on many of the houses near where we lived. The tower was a little weird, but not bad for a first attempt. 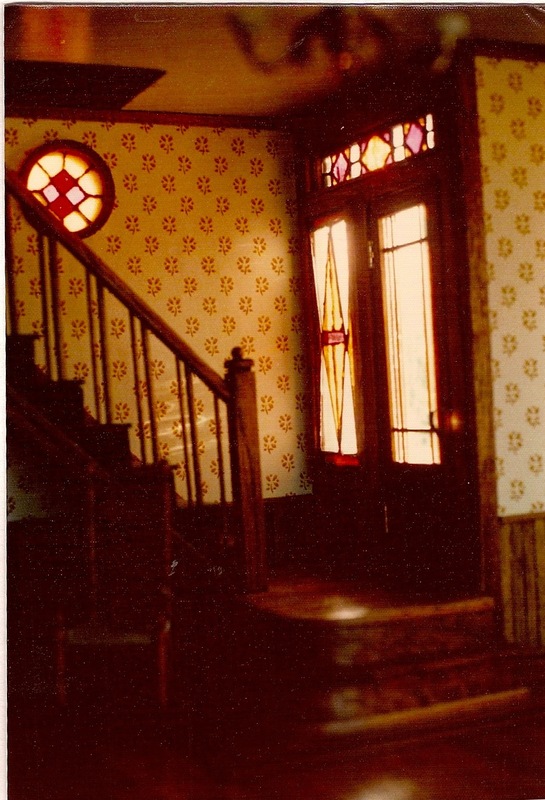 We called the style Victorian, because the houses we designed them after were built at that time, but they leaned heavily toward Carpenter Gothic–houses designed and built by local carpenter/architects for summer people. The Columbia was the best example of our work to date, and we thought it would make a good introduction piece at the show. The house just barely squeezed into the VW camper, and we had a 2 1/2 day drive ahead of us. Along the way we camped one night in the redwoods. The show was at the Sir Francis Drake, a pretty upscale hotel, and large enough to accommodate 1500 miniature builders and collectors. We set up the house in the exhibit room and cruised the perimeter to see how it stacked up. Other than one wonderfully inventive structure—a water tower turned into living space—we felt our work was up to the competition. Plus we met some great people, including the jovial Joe and Janet Hermes, designers of miniature wallpapers. About 9:00 p.m., we left to spend the night with a friend in Marin County. The exhibit table next to ours remained empty. When we returned in the morning there was a crowd, most of it in the area of our house. Reporters with cameras and notepads pressed in with conventioneers, but it wasn’t our house they were looking at. On that formerly empty table was a knock-out gorgeous, towering, brilliantly white replica of the Russian Embassy in San Francisco, overshadowing all other exhibits in stature as well as craftsmanship. The builder was Jim Marcus, who would become a friend and long-time correspondent, but for the moment we were floored. Humiliated. Dumbfounded. We couldn’t even get to our house. When we did, some reporter had had the temerity to drop his hamburger wrapper on our porch, along with his empty film boxes. Eventually it would dawn on us that we had met the competition, and now it was time to really get to work. 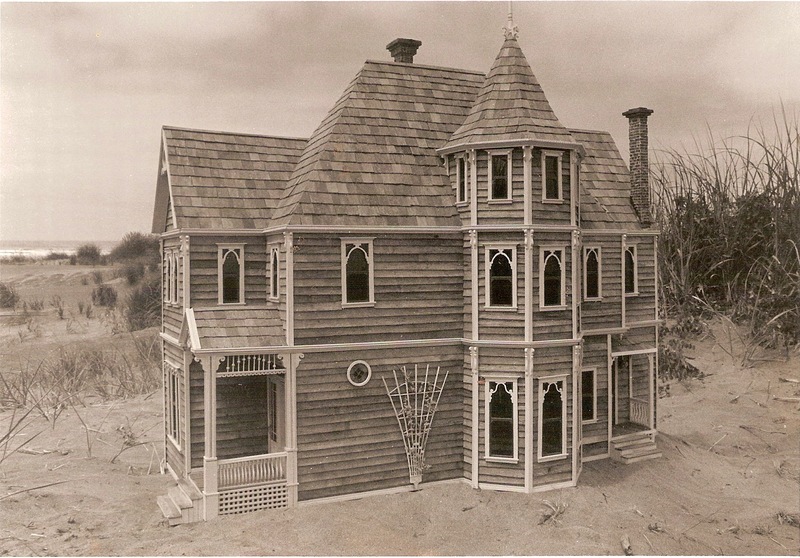 This entry was posted in Bio, Houses, Miniatures and tagged architecture, dollhouses, San Francisco. Bookmark the permalink. Thanks to all the people posting such nice comments about our work and classes. It’s been a fun ride, and many of you have been part of it. Love your houses! !!! I literally spend hours staring at them!! !